Pocerski Pričinović (Serbian Cyrillic: Поцерски Причиновић, pronounced [pôtserskiː prǐtʃinoʋitɕ]) is a village in Serbia. It is situated in the Šabac municipality, in the Mačva District. 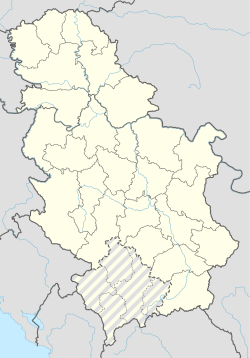 The village has a Serb ethnic majority and its population numbering 5,992 people (2002 census). This page was last edited on 29 March 2017, at 02:26 (UTC).